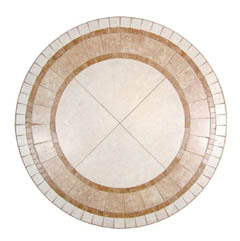 One of the best things about our entire collection of natural stone kitchen tables, is that they can be custom crafted into virtually any size table that you might need. 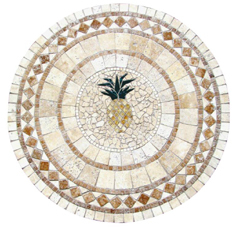 They come standard in sizes ranging all the way up to a 48" X 84" rectangle or oval, however our team of designers and craftsmen can craft a piece which is virtually any size, allowing you to create the centerpiece of your dreams. 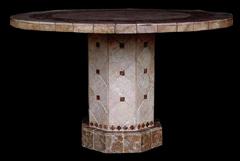 All tables are hand crafted, and are suitable for both indoor and outdoor use. 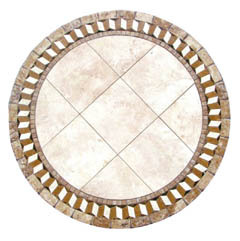 These attractive kitchen tables feature a wavy off white collection of gently contrasting hues. 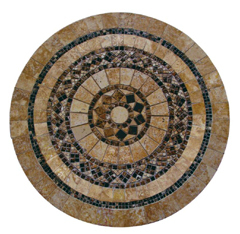 The natural beauty of the stone itself augments the personality and power of this piece, making it a natural centerpiece in any room. 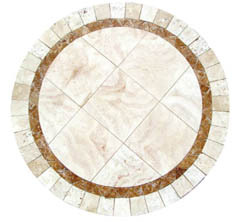 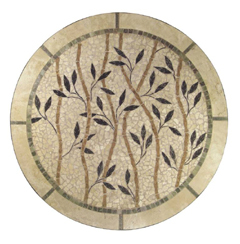 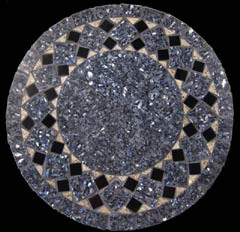 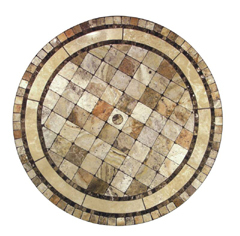 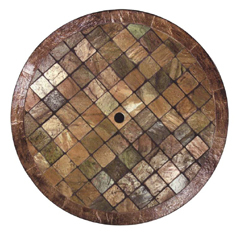 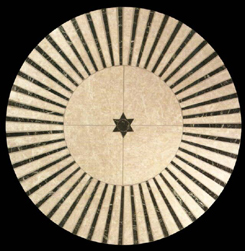 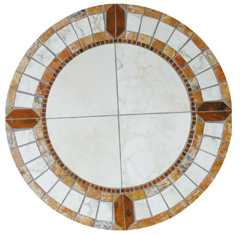 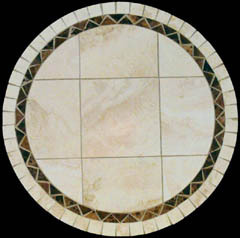 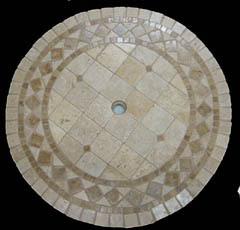 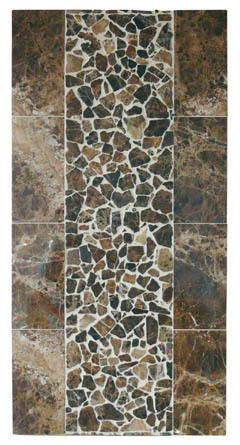 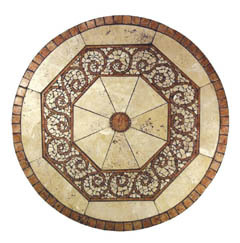 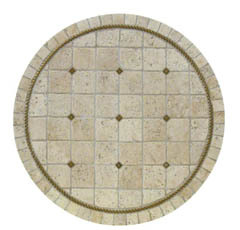 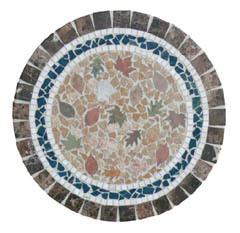 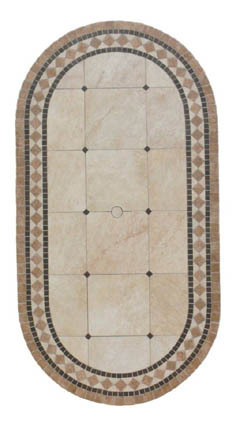 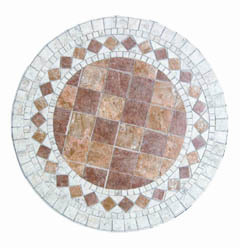 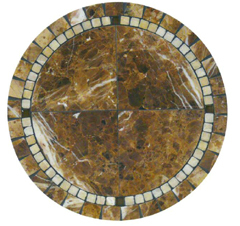 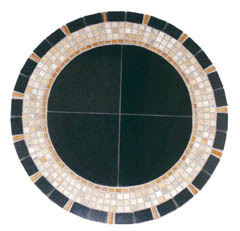 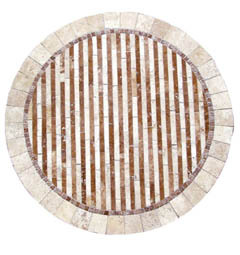 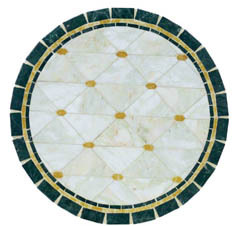 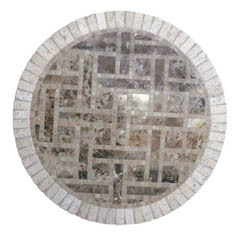 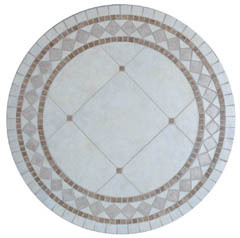 The surface of these attractive kitchen table tops display a wide variety of disparately placed stone mosaic inserts. 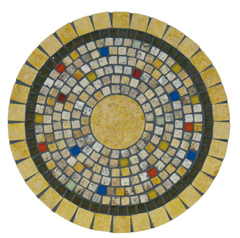 The effect is an eclectic look that seems to embody the style of mosaic art itself, contrasting and complimenting various tones with bursts of hue that appear from nowhere to add vigor and energy to the piece. 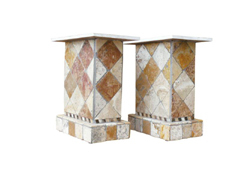 These natural stone kitchen tables feature a revolutionary light weight core. 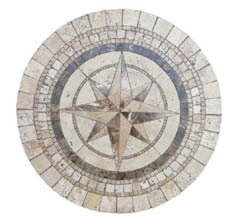 This allows thin pieces of the stone tile to be used to craft the piece, making our collection of stone tables some of the lightest and easiest to move designs available. 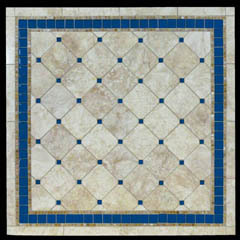 A mysterious design, patterns trailing upon patterns to create an almost maze like look. 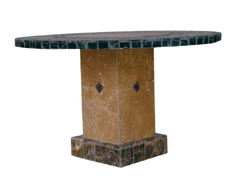 Peering into the depths of the table top, you can easily become lost, meandering amongst the rows of stone as your eyes alight upon the quiet splendor of the mountain born materials. 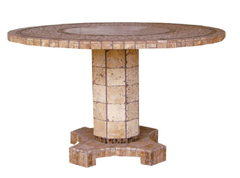 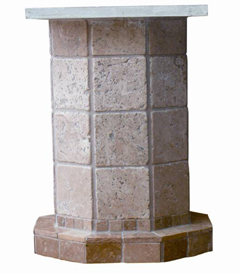 All of our natural stone tables are available with your choice of umbrella hole, for outdoor kitchen use, or can be equipped with an illuminated onyx ring, which will cast a soft glow across the night. 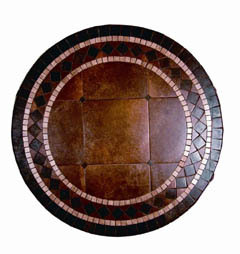 Check the specific table design detail pages for more information.